Extreame Savings Item! 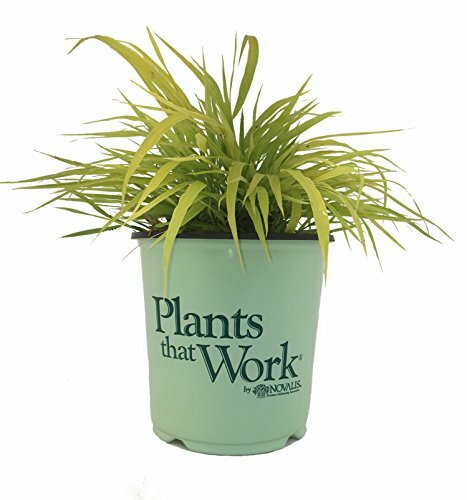 Save 50% on the Plants that Work Gold Japanese Forest Grass - Grass - H.M. All Gold - 19cm by Premier Plant Solutions at Go Plots. MPN: 15340. Hurry! Limited time offer. Offer valid only while supplies last. Cascading golden foliage lights up any shady spot in the landscape. Marvelous beside a pond or in mass plantings. Light exposure: part shade, shade. Cascading golden foliage lights up any shady spot in the landscape. Marvelous beside a pond or in mass plantings. Light exposure: part shade, shade. Hardiness zones 5-8 habit: clumping, mounded. Perennial. Deer resistant, red fall color, summer flowering. Drought tolerant, erosion control, naturalizing, rock garden. If you have any questions about this product by Premier Plant Solutions, contact us by completing and submitting the form below. If you are looking for a specif part number, please include it with your message.